The 2015 Summer Budget saw an announcement for reform of the Support for Mortgage Interest (SMI) benefit. Support for Mortgage Interest is a type of welfare benefit where the Government assists in making interest payments direct to a mortgage lender for those who are eligible. The SMI benefit only applies to interest on the first £200,000 of a mortgage for the length of time that the individual cannot afford them. 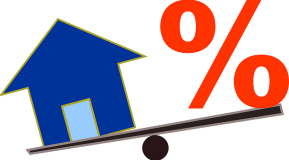 The level at which interest is paid is also determined by the Government not the individual rate applied to a particular mortgage. The current rate is 3.12%. Those who are receiving Income Support, Income-based Job Seeker’s Allowance, Income-based Employment and Support Allowance or Pension Credit. If you have recently lost your job or you’ve had an income cut, it is important that you sign on, otherwise you’ll not be eligible for SMI support. The benefit begins 39 weeks after you have applied to claim one of the initial benefits as above, although if you’re receiving Pension Credit then you can claim SMI immediately. If you are claiming Job-Seekers Allowance you will only be able to claim the benefit for a maximum of 2 years otherwise the SMI will stop paying out when your benefit stops ie you return to work or you have an increase in income. It is important to note that from 1st April 2018, the Government plan to make SMI a form of loan and not a benefit. That will mean that a charge will be put on your property and you will have to pay back the amount that the Government pay towards your mortgage either when you return to work or when you sell your home. These loans will also attract interest.